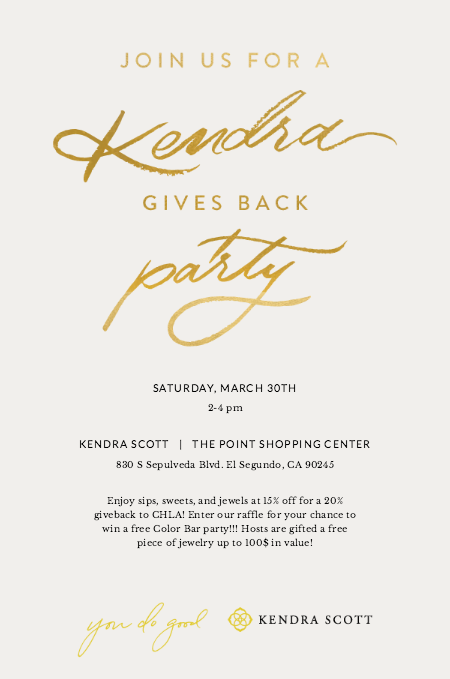 On March 30th from 2 PM – 4 PM, Kendra Scott at The Point in El Segundo will host a charity shopping event to help Make March Matter. Customers will receive 15% off of all purchases and Kendra Scott will donate 20% of sales. You can also enter a raffle to win a free Color Bar Party!